In this drag-and-drop world of content sharing, saying that companies should remember the joys of FTP is a bit like your dad saying you “really need” to check out Steely Dan. You’ve heard of it, but it sounds complicated and out of date. But nothing could be further from the truth for organizations with massive amounts of data and complex folder structures that need to be stored and shared in the cloud. In certain environments, FTP can be better than HTTP for sending a large or complex structure of files. Thankfully, Onehub can help you marry the power of FTP uploads with the convenience of browser-based collaboration. Resilience. HTTP uploads are vulnerable to network failure. Most FTP clients will automatically attempt to reconnect and resume uploading after losing a connection. Consistency. You can transfer complex folder and file structures as you have them set up already in a single action. Modern browsers, like Google Chrome, are beginning to support drag-and-drop folder uploads, but are still subject to #1 above. Compatibility. Many legacy applications, such as billing systems, have broad FTP support, so the infrastructure you have in place does not need to be replaced. Automation. Large corporations dealing with vast amounts of data can automate much of the transfer of that data through FTP scripts. To be fair, not every aspect of FTP is a walk in the park. Setting up FTP can be a pain in the neck and require technical knowledge of things like clients, ports, FTP addresses, etc. But this is where Onehub makes it easier. Let’s say you run a marketing agency, and you have 2 terabytes of data you’ve organized just so, that you want to store and share in the cloud. Once you have your FTP client, you can sign in using your Onehub credentials (see our full instructions). After all your data is uploaded, you can use Onehub to share the files you want with the people you want fast and easily directly through the browser or our mobile app. And you can do all this with confidence because Onehub enforces secure FTP (over TLS/SSL) using bank-level encryption for all your data in transit and at rest. 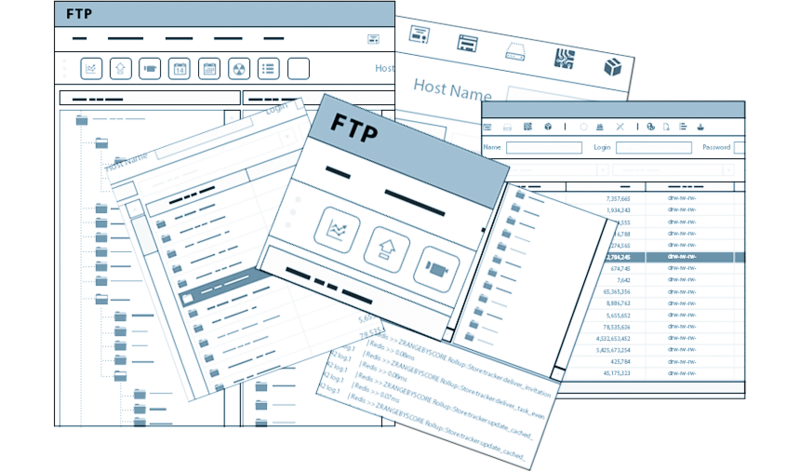 With FTP, you can upload your data reliably and fast in exactly the way you want. Freeing you up to enjoy more Steely Dan records (Aja is a personal favorite). This entry was posted in Opinion and tagged FTP, upload by Chris Albrecht. Bookmark the permalink.